Google Pixel 3/3 XL-Power Saver Settings. The Pixel 3 and PIxel 3 XL come with a 2,915mAh battery and long battery life. 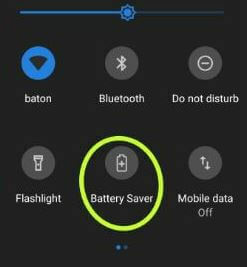 By default turn off battery saver mode in PIxel 3 and Pixel 3 XL Oxygen Os. are you want to turn on battery saver mode? when you Enable Battery Saver on Pixel 3 that time automatic turn off some device features and restricts apps that use more battery life. here we teach you how to enable battery saver on Pixel 3 and Pixel 3 XL. you can set battery percentage manually as of the requirement of your smartphone. when you go outside of the home and you have no around power plug, charging port, the power source that time what can you do? then I personally recommend How to Enable Battery Saver on Pixel 3 & Pixel 3 XL. here we share with you two methods to enable and use battery saver mode on Pixel 3 XL and Pixel 3. Step 3: Tap Battery Saver. Step 4: Tap Turn on now. Methode 2: Enable Battery Saver on Pixel 3 and Pixel 3 XL Oxygen Os. Step 2: Long press battery saver option. Step 4: Tap Turn on now – Now active your battery saver mode. This adaptive battery feature most useful. if any apps use more battery life then this adaptive features restricted the app that can use more battery. Settings > battery > Adaptive battery > Turn on toggle use adaptive battery. 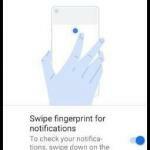 Like it and Share it with your friends to get more tips and tricks on Pixel 3 & Pixel 3 XL in free. 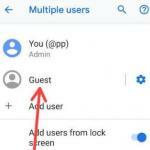 Feel free to comment us if you found something missing in this article “How to Enable Battery Saver on Pixel 3 & Pixel 3 XL” and share your idea.